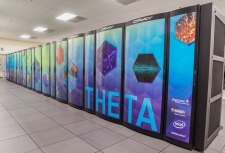 Theta, a 11.69 petaflops system based on the second-generation Intel® Xeon Phi™ processor, is enabling breakthrough computational science and engineering research, while providing a platform to help ALCF users transition their applications to the new Intel Xeon Phi architecture. 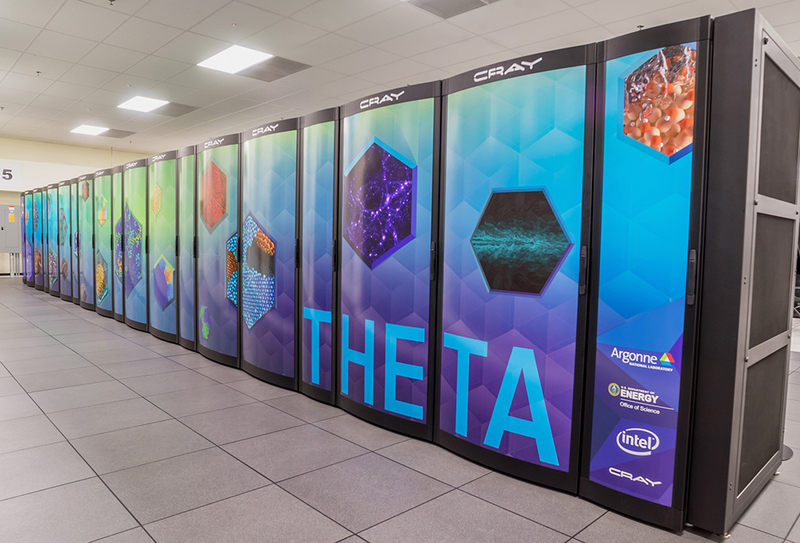 Designed in collaboration with Intel and Cray, Theta serves as a stepping stone to the ALCF's next leadership-class supercomputer, Aurora. 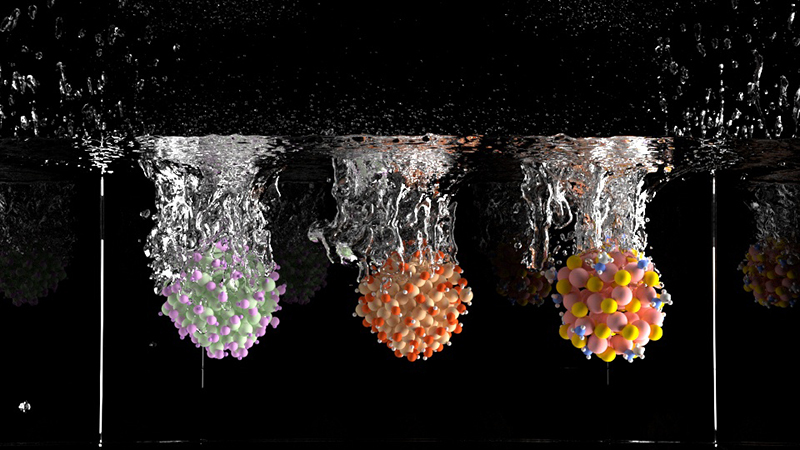 Theta is a massively parallel, many-core system based on Intel processors and interconnect technology, a new memory architecture, and a Lustre-based parallel file system, all integrated by Cray’s HPC software stack. The system is equipped with 4,392 nodes, each containing a 64 core processor with 16 gigabytes (GB) of high-bandwidth in-package memory (MCDRAM), 192 GB of DDR4 RAM, and a 128 GB SSD. Theta’s initial parallel file system is 10 petabytes. For more details, visit our User Guide.